Black Friday is over! But the sales have just begun! Black Friday might get all the buzz, but if you ask me.. nothing can beat Cyber Monday. I mean, how can we not love getting GREAT deals from the comfort of our own home? We can stay in our PJs, snack on that leftover pie and shop to our heart's content. What's not to love about that? And the deals at Sears? AMAZING! You guys seriously don't want to miss these! From clothes to toys to small appliances, they have great deals for absolutely everyone on your holiday shopping list. It truly can be a one stop shopping for everything. 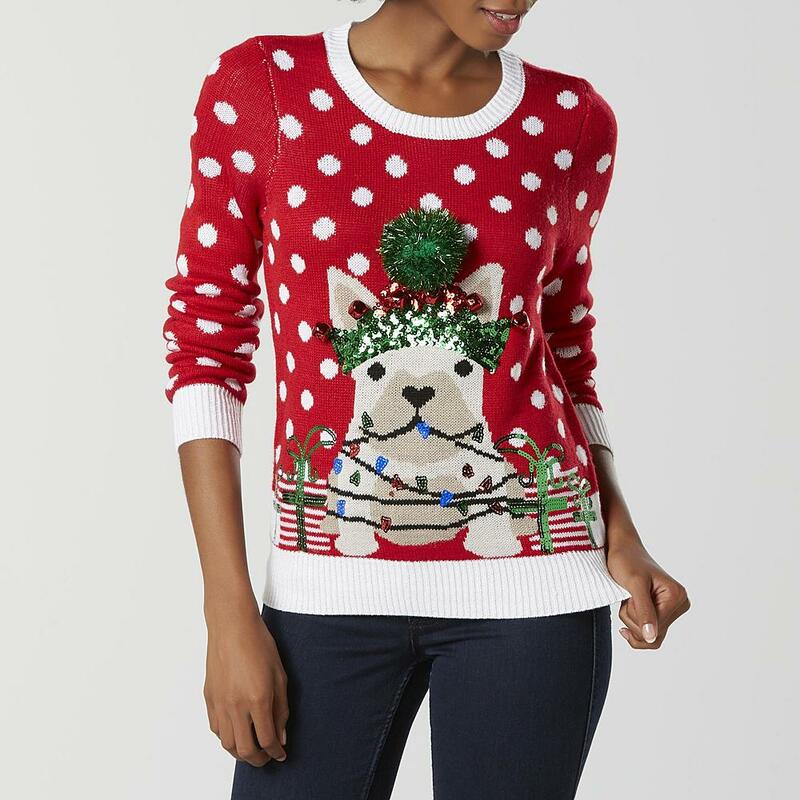 One of my favorite deals has to be the fun selection of Ugly Christmas Sweaters for men and women alike--- like this fun pug and lights sweater. I LOVE a good Ugly Sweater. They're fun, they're festive, they're goofy. If you ask me, we all need at least one or two in our closets. My church is actually doing an ugly sweater day this year, and this would be just perfect...at an already awesome price. Head over to Sears to shop all the great deals! 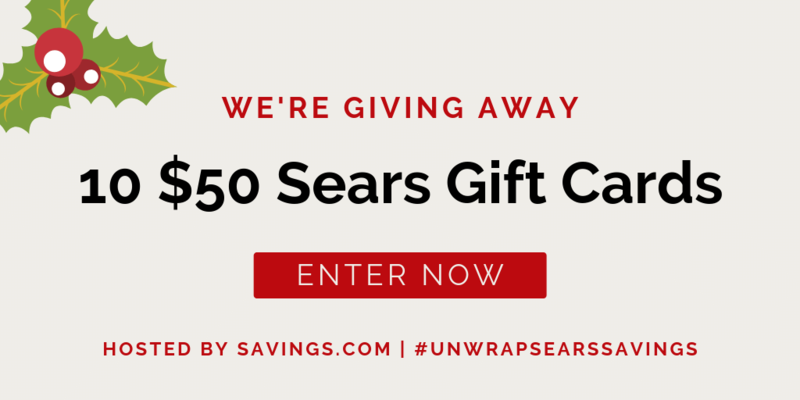 To celebrate these fantastic deals, Savings.com is giving you the chance to win one of 10 $50 Sears gift cards! Click here to Enter. Giveaway runs from Wednesday, November 21st at 12:00 AM ET to Tuesday, November 27th at 11:59 PM ET. Ten (10) winners will receive a $50 Sears Gift Card. Enter the giveaway by heading to the Sears page on Savings.com and submit email address on the form at the top of the page. The winners will be chosen through a lottery drawing and notified on Wednesday (11/28) via the email address they used to enter.